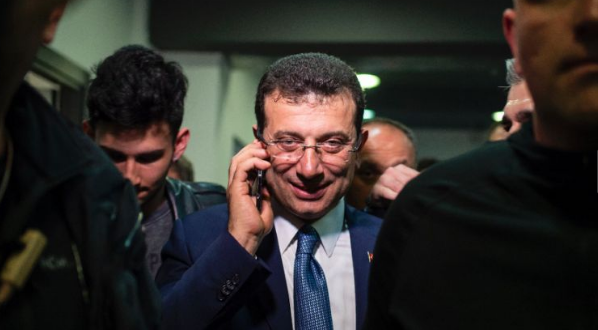 The newly-elected Mayor of Constantinople, Ekrem Imamoglu is according to some reports of Pontian origin and a Greek-speaker who managed to “conquer” one of the strongholds of Turkish President Recep Tayyip by defeating his opponent Binali Yildirim. Imamoglu, 49, who was supported by the secular Republican People’s Party (CHP) comes from the Black Sea city of Trabzon and studied business at Istanbul University before joining his family’s construction business. He entered local politics in 2009, becoming mayor of the middle-class Beylikdüzü district in 2014. His campaign for the largest city in Turkey was characterized by appearing conciliatory and remaining low-key, modest and a hard worker. He successfully campaigned and gained the trust of citizens of different political and religious affiliations. 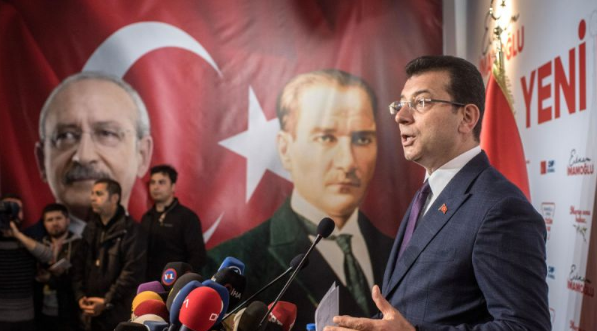 Imamoglu called on the High Election Board (YSK) on Wednesday to mandate him as elected mayor after the ruling AK Party objected to results that saw him earn a narrow victory over his rival.